Crafting late night jams with an international flair, Canada’s FIJI and Atlanta’s Ca$tro Guapo obliterate regional and national boundaries as CMDWN Collective. Demonstrating their chemistry over an aqueous instrumental courtesy of 1k, Ca$tro and FIJI kick back with “Bool,” the duo’s latest video. On “Bool,” Ca$tro flexes an impressive sense of melody with lilting flows, reminiscing about how far he and FIJI have come as CMDWN, before guest artist Lil Berete drops in with an energetic auto-tuned verse. In the video, Ca$tro, FIJI, and Lil Berete stand on a skyscraper sipping lean, flexing while filmed by a fisheye lens as the camera bops to the beat of the music. Premiered by No Jumper, “Bool” is the second video from ATLANADA 2, the duo’s latest project, following the HYPEBEAST-premiered “Roxanne,” which features Chief Keef and has over 400,000 total streams on YouTube. 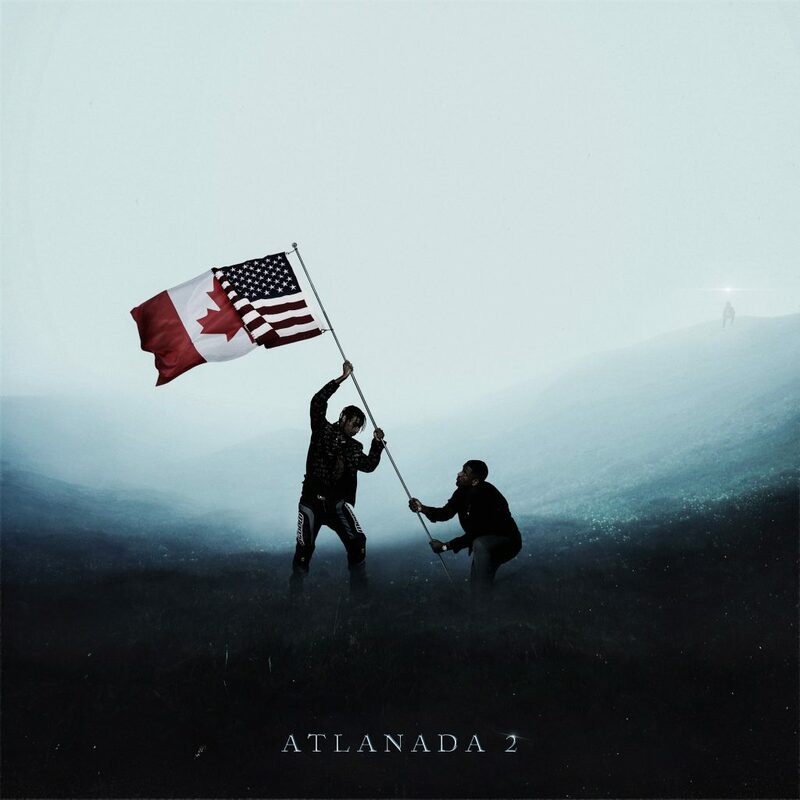 Embracing the diversity and cultural exchange that makes their collaboration possible, ATLANADA 2 is a stylish synthesis of CMDWN’s appeal, providing a soundtrack for the turn-up or the waning hours of a night out. Hosting previously-released tracks like the skeletal “Strong,” and the cult hit “Die In Supreme,” which has over 2 million streams, the project finds Atlanta rapper Ca$tro Guapo and Toronto singer FIJI blending styles from their respective hometowns into a fresh new cocktail. While their fanbase pushes CMDWN’s profile to meteoric proportions, they have also received significant co-signs from their industry peers, receiving Instagram likes and DMs from Drake, winning a major fan in Lil Yachty, who has a CMDWN tattoo, and opening in recent months for the likes of 2 Chainz, Playboi Carti and Tory Lanez. Praised by Highsnobiety, PAPER Mag, Toronto NOW, and Noisey, among others, CMDWN Collective are an excellent bet to break out stateside on the strength of ATLANADA 2.Featuring appearances from Chief Keef, Key!, Nessly, Killy, Pressa, and Lil Berete, and production from WondaGurl, 1k, VillaBeatz, Dnny Phntm, and more, ATLANADA 2 arrives via eOne Music Worldwide. 4. WTF Is That ft. Key! The CMDWN Collective was founded by rapper Ca$tro Guapo & vocalist FIJI. They’re joined by producer and creative director Teo Nio. Recognized as an emerging industry force to be reckoned with, they are part of a new collaborative group of acts and producers that are blending their talent for music, design, and production into an immersive brand experience. Ca$tro Guapo has been changing Toronto’s hip-hop sound since moving to Canada in 2010. With his inimitable flow, Ca$tro marries elements of his Atlanta roots with Toronto hip-hop flair to create something that is truly original. Fijiis a perfect example of the vibrant and raw hip-hop coming out of the Canadian scene. With memorable smile-inducing punch lines and catchy hooks, Fiji’s unmistakable brand of Toronto vocalized rap fits perfectly into The CMDWN Collective. After establishing a reputation for delivering buzzworthy singles and engaging performances, CMDWN are on deck to be Canada’s next major international hip-hop stars.